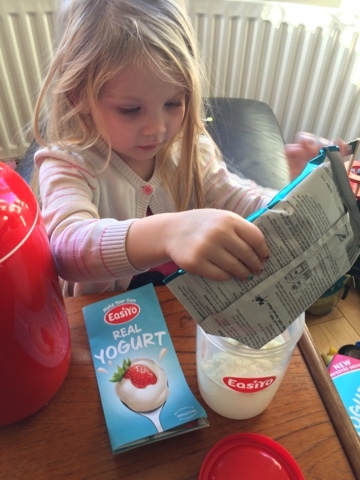 I wanted to try this with my daughter (Maegan age 4) because she is the biggest yoghurt fan in the house and also because she loves to get involved in the kitchen! We followed the very straight forward instructions and made our yoghurt in the afternoon - actually it was really just Meg making it herself with a little guidance - and obviously I handled the hot water part. 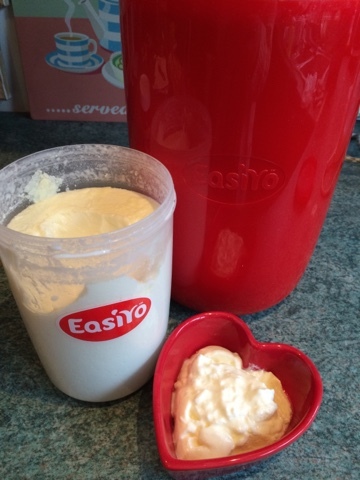 We left the yogurt overnight to form and by breakfast we had creamy Greek yogurt! The yoghurt will last in the fridge for up to 2 weeks. We experimented with adding honey and blueberries which was great, we also tried adding chocolate sauce to some of the Greek style yoghurt but that wasn't so great - and I'm intrigued by the large flavour range we can't wait to try more! 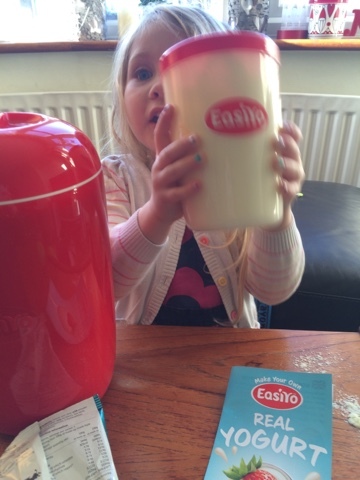 EasiYo is stocked all over the UK at retailers including QVC, Wilko, Lakeland, The Range, Holland and Barratt and HobbyCraft. 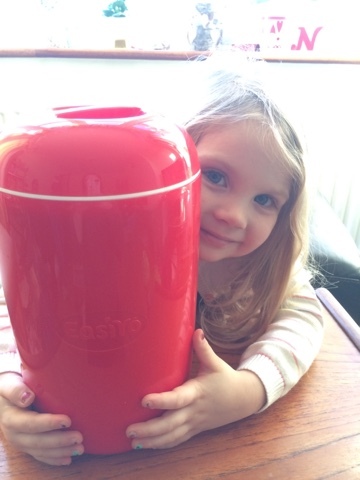 The EasiYo red maker retails at £17.99 there is a great range of flavours available along with additional storage pots. 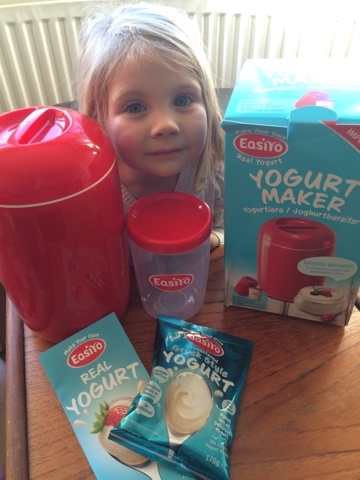 Disclaimer - I received an EasiYo yoghurt maker and sachet for the point of this article.